We are connecting the region through our events, campaigns and digital platforms. We’re asking everyone who lives in South West Wales (and yes, that means you) to join the network and be part of the movement for change. The best potential we have of transforming the region is to involve more people, and to collaborate across silos. We enable productive collaboration through our Regional Priorities platform and in-person events and meetings. Our 12-step approach to making change happen is simple, replicable and cyclical, for use in any context where the goal is to engage more people, crowdsource wisdom, empower changemakers, and co-create shared outcomes. We believe this region needs a new approach to regional engagement, a shared vision, a circular economy, crowd sourcing of wisdom, co-production of solutions, and a strategy to unlock the potential of the region. The Regional iMap is a bespoke online map designed to help us connect with each other across the four counties of Neath Port Talbot, Swansea, Carmarthenshire and Pembrokeshire. Make sure you’re on the map, click here to explore. 4theRegion is a membership organisation representing regional businesses, community groups and change-makers across South West Wales. 4theRegion is funded by membership subscriptions and sponsorship of the events we run. We are not publicly funded or contracted to any public organisation. The company was founded independently by local entrepreneurs to take over from Swansea Bay Futures which closed in December 2017. Zoe worked for Swansea Bay Futures for 6 years prior to launching 4theRegion as an independent venture. 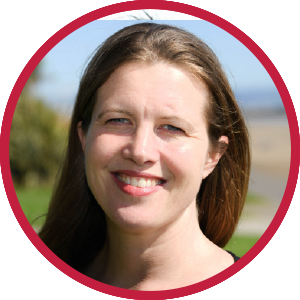 Previously, Zoe has worked in marketing and business development at Swansea University and Morgan Cole Solicitors. She has extensive experience of planning and running large events and exhibitions across the UK. Zoe’s super power is connecting people and building relationships. Dawn runs Swansea-based iCreate, a 3D flythrough and visual communications company working with many of the region’s major partners and developers. She sat on the board of Swansea Bay Futures for 10 years, as well as serving on the board of Swansea Bay Business Club and the Swansea Foundation. 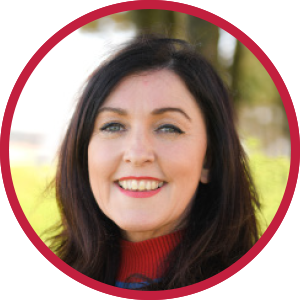 Dawn is a certified Appreciative Enquiry facilitator with the Flourishing Leadership Institute.